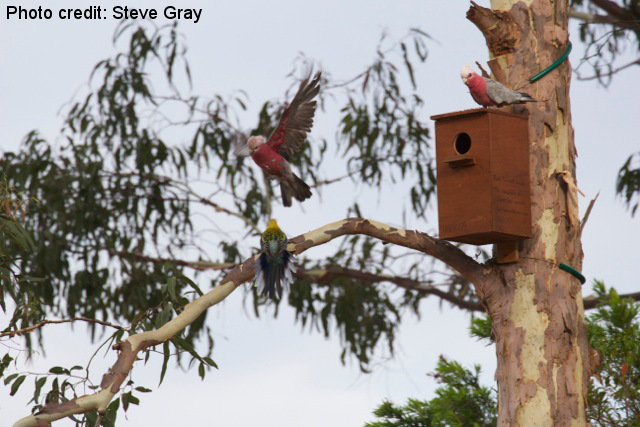 In the Oxley Common, one nest box in particular is attracting a lot of attention. 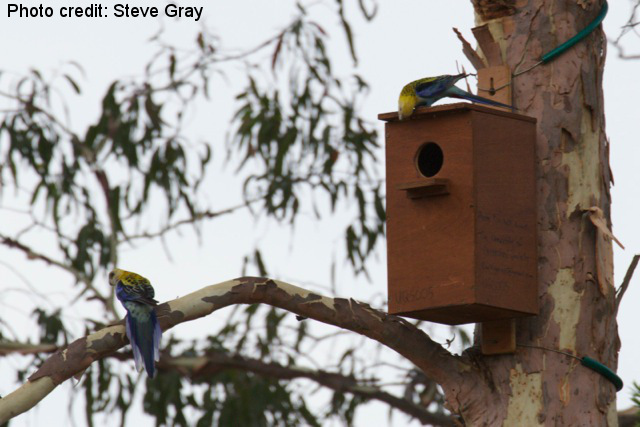 Maybe it’s the view, or just the facilities, but nest box UQS005 is in high demand from local avian residents. 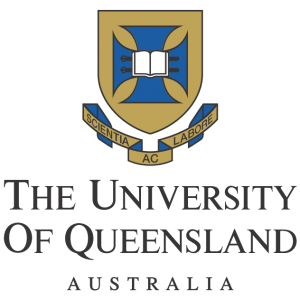 …but a prior claim arrived. 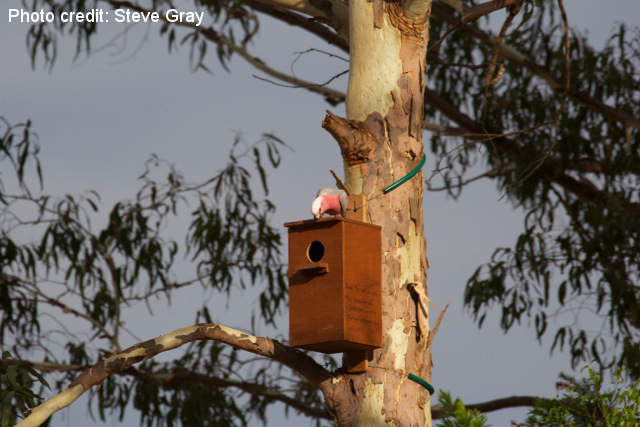 …before the Galahs got back to chewing at the nest box. 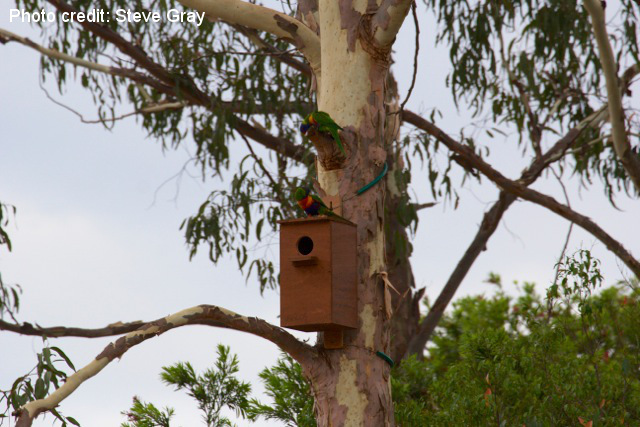 The Rainbow Lorikeets thought with all that fuss it must be worth a look. 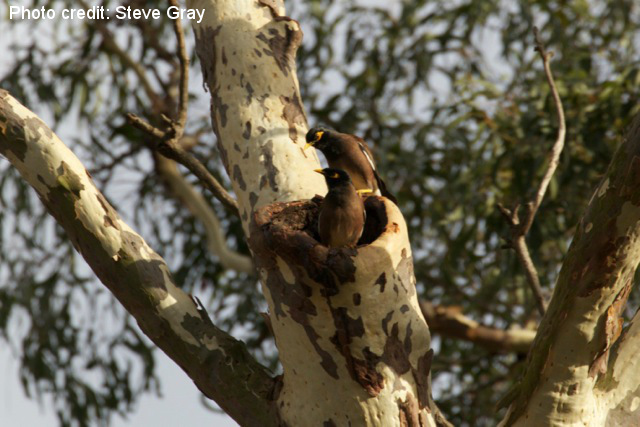 Meanwhile the Common Mynas have set up house in a nearby Eucalyptus, which also contains nests of Rainbow Lorikeets, Scaly-breasted Lorikeets, Sulphur-crested Cockatoos and Magpies. 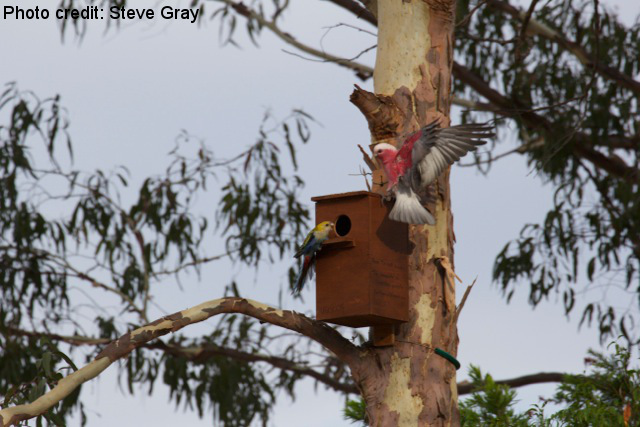 Thanks to Steve Gray for the great photos and commentary.